Isobar’s NRF 2019 report looks at the biggest trends for brands and retailers. Isobar has released its National Retail Federation’s Big Show and Expo Emerging Trends report, which looks at the biggest trends for brands and retailers from the NRF’s Big Show & Expo. The conference reassured marketers that retail and specifically the physical store is here to stay, responding to claims that it could be replaced by online shopping. However, the event revealed that a balance of both online and offline initiatives will prove most valuable for customers. But brick and mortar stores must become smarter, more customisable, personalised and interactive. They must prioritise delivering an experience solely centred around the consumer. 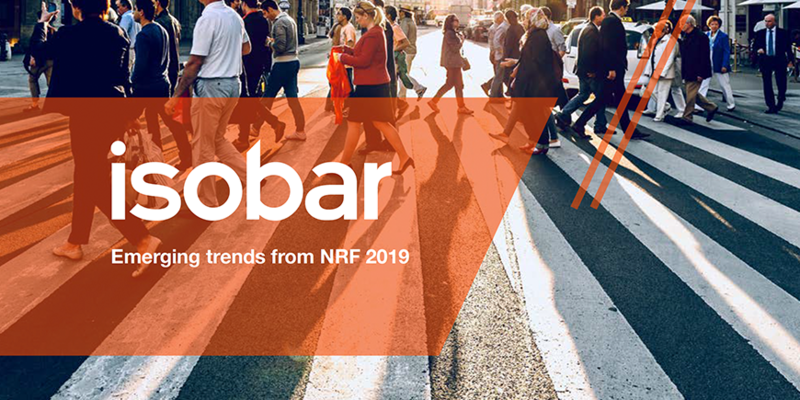 Isobar’s full NRF 2019: Emerging Trends report is available to download here. Where is Online Media Headed? Don’t Just Set Goals This New Year!